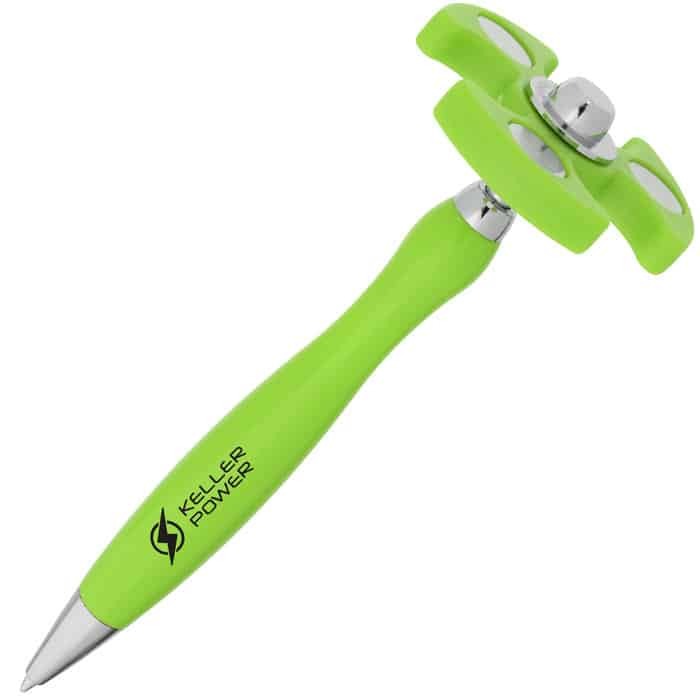 Great promotional products grab attention. They’re the items that draw people to your table at a trade show, put a smile on the face of your customers and get used again. 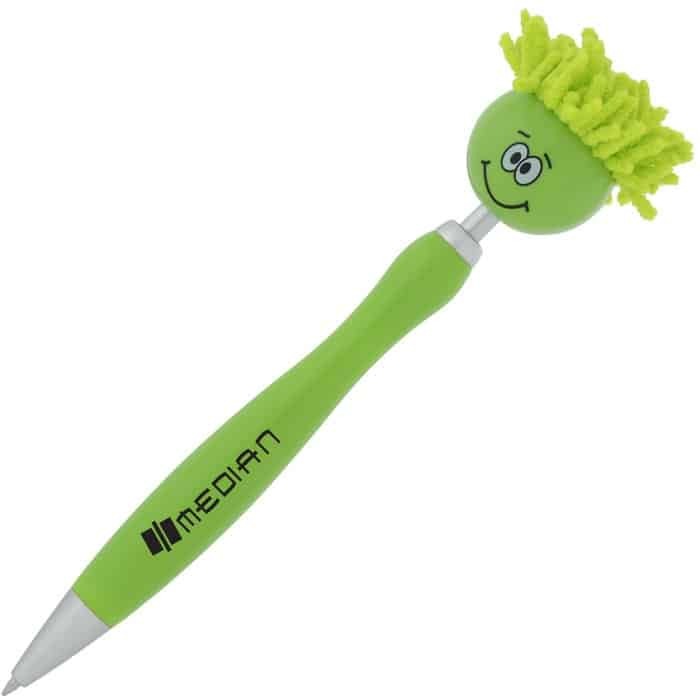 Promotional fidget spinner pens do all of that. 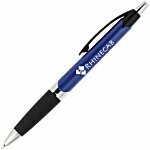 These unique giveaways bring together two incredibly popular promotional products to create one fun promotional pen. How popular? More than 19 million fidget spinners have been sold since 2017. 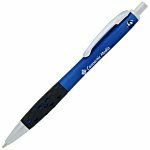 And writing instruments are the second most popular promotional product on the market. Putting these two items together—and putting a fresh spin on them—has created some serious promotional fun that your employees and customers are sure to love. 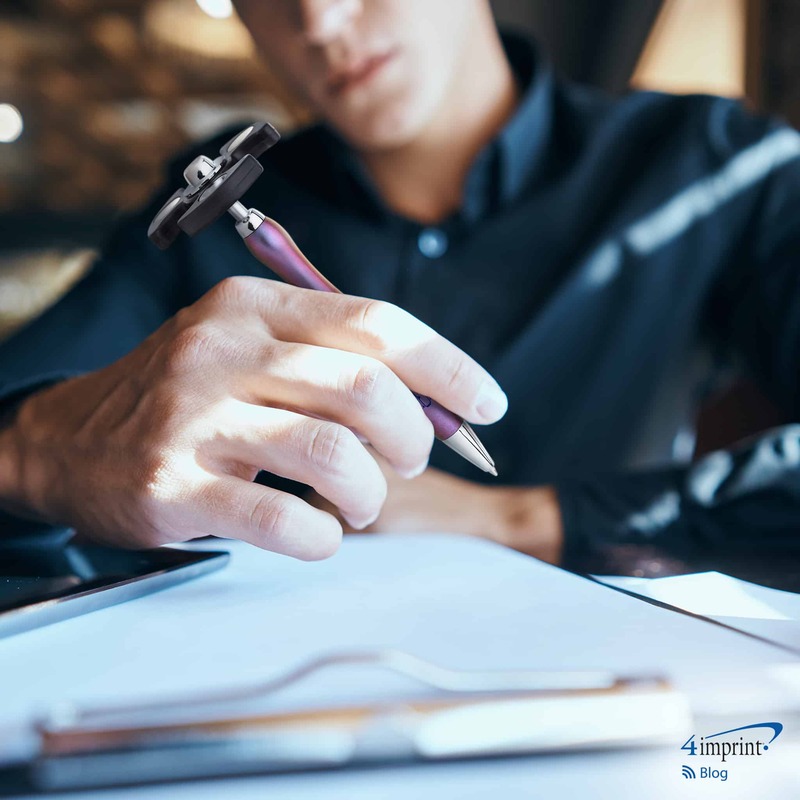 The Fidget Spinner Pen combines a click-action ballpoint pen with a fun-to-turn top that’s sure to add some excitement to anyone’s day. This unique promotional fidget spinner is available in over 40 colors to beautifully complement your brand. In addition to a writing instrument and spinner, each Light-Up Fidget Spinner Pen features LED panels with three light settings: on, off and blinking. The spinning and glowing combination will catch a lot of attention at a trade show. Or you can turn down the lights at a fun event for some jiving disco action. Looking for something a little less “flashy” but just as eye-catching? The 4imprint® Exclusive Fidget Spinner Chameleon Pen comes in multiple chromatic and iridescent colors that offer a gorgeous chameleon-like appearance. 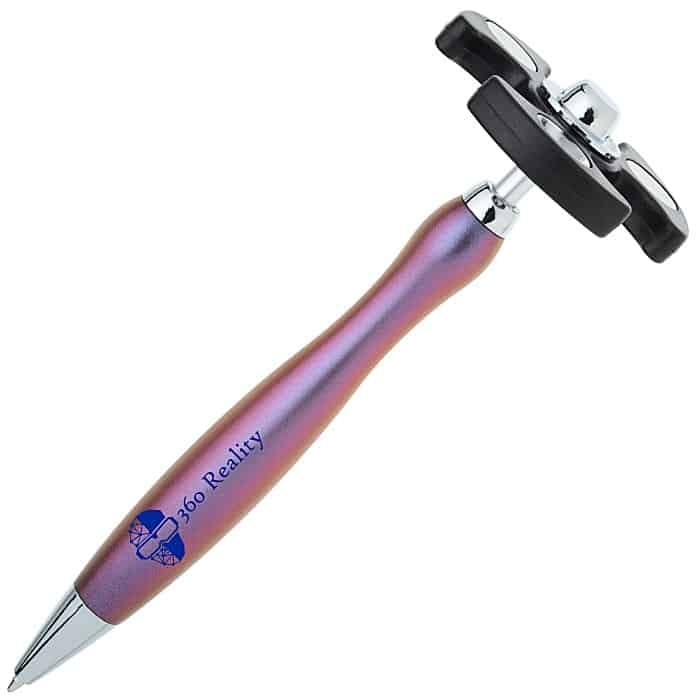 Another fun promotional pen option is the MopTopper Spinner Pen. Its smiling face and screen-cleaning hair will generate grins and pique curiosity when seen on a trade show table. 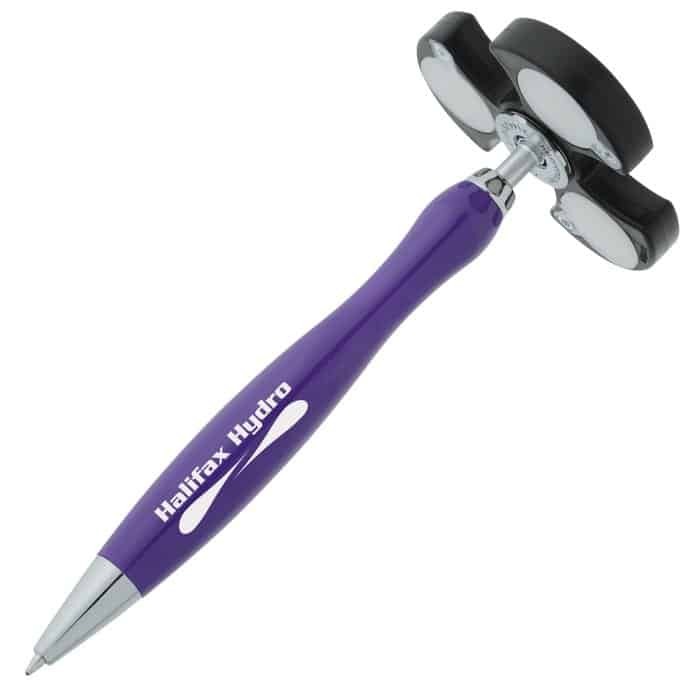 The head is mounted on a spinner, making it fun for writing and fidgeting. Need a fast turnaround? No problem! All of these fidget spinner pens are available with our 24-hour rush delivery. 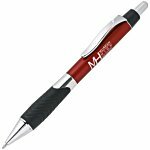 If you’re trying to find a fun promotional pen that catches attention at trade shows and brings smiles to everyone’s face, these fidget spinner pens are sure to turn any frown upside-down.